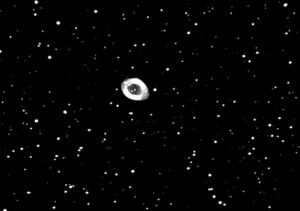 A site dedicated to astronomical science. Never trust the internet! Virtually every site that I researched said “tighten your worm gear up until the motor strains and then back it off slightly.” Sounds like a great way to eliminate or reduce backlash doesn’t it? Well on my scope that advice doesn’t work! 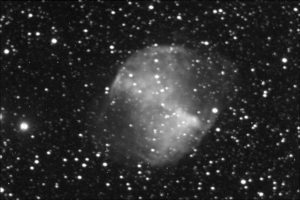 After writing the article on preparing a CPC 1100 for imaging, (see an earlier post), I decided the telescope was still not tracking as good as it could. So I took off the gear covers and had another go at eliminating the backlash in the dec gears. After 2 adjustments using the rule of thumb listed above it would no longer move much in DEC when tracking. Not much of an improvement. So I moved the ST-8E camera to the AR102 refractor on the Sirius mount and ran with it on clear nights. Now that was only a few nights! The weather has been atrocious this winter. With a few clear nights in a row coming up it seemed prudent to work on the 11″ CPC again. The first task was to see if I could get it to move correctly in DEC while tracking. RA was spot on, but DEC was way off. In fact it seemed the gears would not move at all mimicking severe backlash. After trying Maxim DL tracking then PHD with an external guider it just wasn’t working. So I pulled the cover off the fork arm and did something counterintuitive. Loosened up the gears until there was significant play in the system. Tried using PHD and it worked! I used the PHD Polar Drift Align to get the alignment close. I have found that the built in Celestron routine seldom gets the PA closer than a degree or two. Though it was still off it was a lot closer. Last night I used the drift align feature in PHD to tweak both axis. Now it is as close as you can probably get. There was still significant errors in guiding and about 50% of the images were trailed. There is also a movement after 100 images off the right side of the image. My guess is flexure from the external guider. The guider started off exactly lined up with the images on the chip. After an hour or so it was completely off. Smells like flexure to me! Using an external guider makes finding mechanical issues way easier. So tonight I will switch to the internal guider chip and see if that will make a difference in the quality of the images. The big negative about using the internal guider is the small field of view that makes it hard to find a suitable guide star. The positive is the lack of flexure. The next step after testing is to put the ST-8 back on then shoot an actual T-Point model. It would be nice to be able to get back to doing my Central Stars project and do regular stars with the AR102. The field of view is too large on this short focal length scope to be able to measure the Central Stars of Planetary Nebula accurately but it is great for doing regular variable stars. 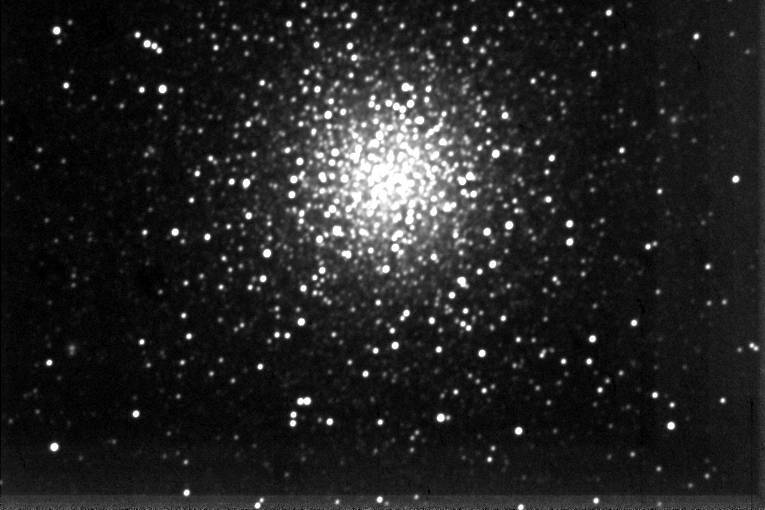 M 53 using an uncooled ST-7E, no filters and using PHD to guide. It uses 79 images stacked in Maxim and lightly processed. 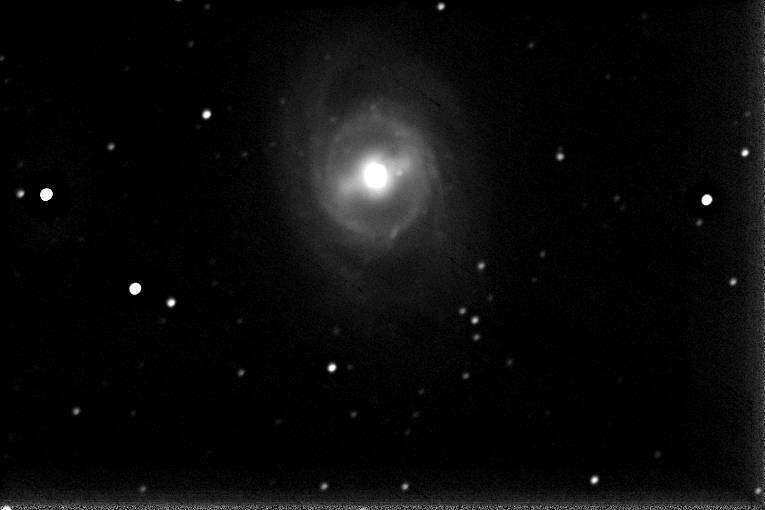 The second image is M 95, 114 by 60 seconds also stacked in Maxim and lightly processed. Previous Previous post: Endless Winter! 3 Steps back 2 steps forward! Mars with a 102 mm refractor. 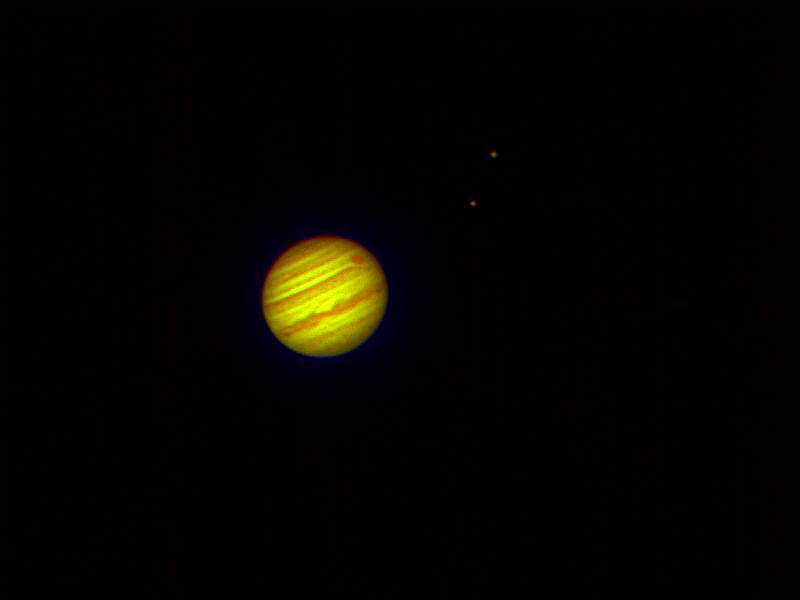 Jupiter with the 6″ “The Beast” refractor. 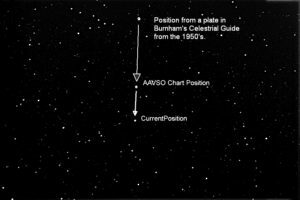 Barnard’s Star positions since the 1950’s.